Have you found the right match and thinking of announcing this news with aplomb?! Then, you can inch towards your plan by sending out invitation cards wrapped in personalized engagement envelope 6.75 x 3.75 plain white. 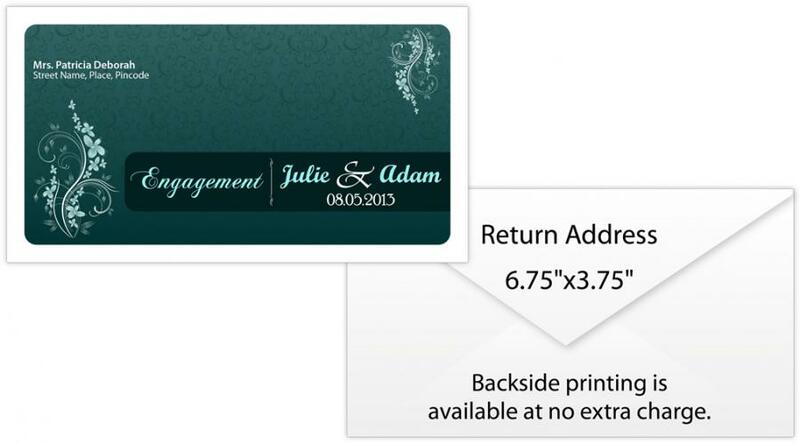 People are definitely gonna be happier on receiving your news, but a custom engagement envelope 6.75 x 3.75 plain white is going to keep them enchanted. This envelope actually beautifies the relevance and appearance of beautiful invitation attached within and it affirms the conviction of a person regarding attending the event. Personalized invitation always receives high priority and wins heart of any onlooker to whose hands it falls upon.